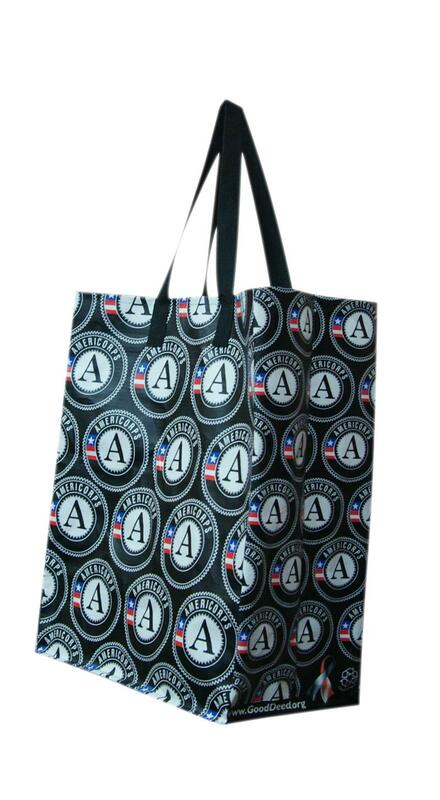 We have improved our AmeriCorps Reusable Bag!! 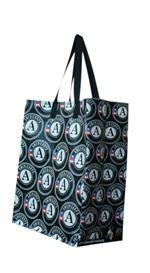 With more durable material and a double stitched shoulder strap, this bag has more tensile strength than before. It is built to last with a shiny gloss for a sleek look! 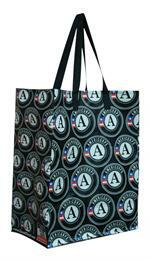 This colorfully eye-catching AmeriCorps bag stands in service to the AmeriCorps volunteer! What a great call out to your volunteer ethics: multi-tasking, strong, long-lasting -- A cheery companion throughout your busy day of service. And, because it's made of reusable materials, it helps without harm. A professional show-stopping bag in which to shove the files and bits of your life of service.